Most closures around the Burro Fire have been lifted. The Burro Fire started June 8 and burned 4,792 acres. It is 95 percent contained but is still smoking in some areas, including Sharkstooth Peak. 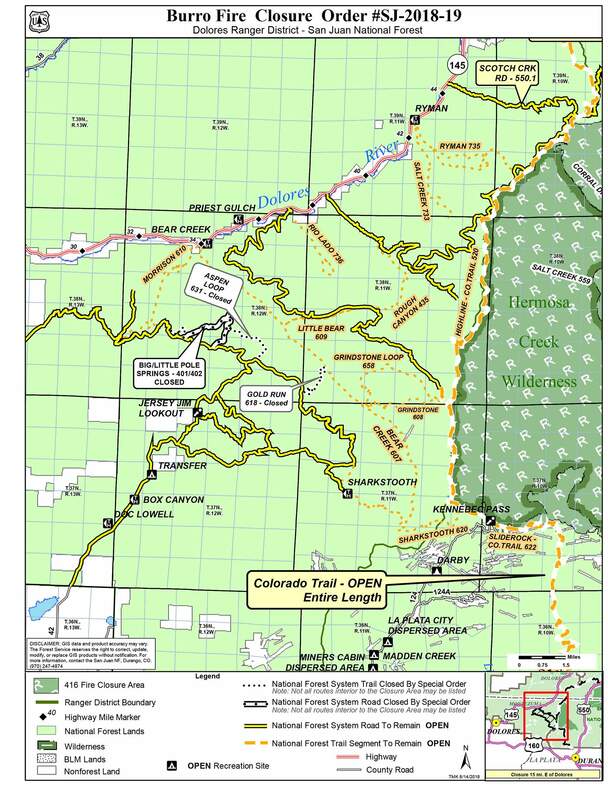 Fire recovery specialists predict a minor increase in erosion and runoff resulting from the Burro Fire in Bear Creek Canyon northeast of Dolores. At the conclusion of its analysis, the BAER team produced a map that labels areas according to the severity of soil burn, a key component to identifying where increased soil erosion, surface water runoff and debris flows might affect human life and safety, property and critical natural and cultural resources.